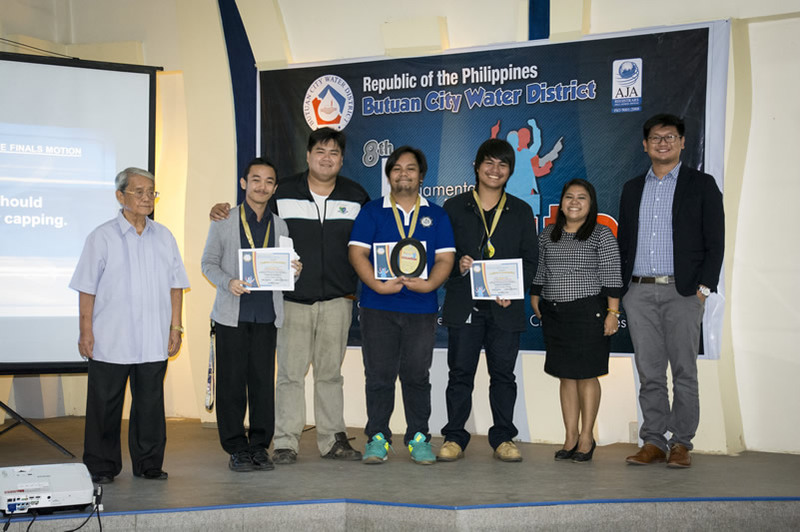 For having presented the best argument for the motion "This house believes that the state should implement water capping" in the 8th BCWD Parliamentary Debate held this morning at Jesus Family Ministries, the debating team from Father Saturnino Urios University (FSUU) was declared champion. FSUU remains unbeatable. For eight consecutive years, FSUU debating team has been declared champion in the BCWD Parliamentary Debate. BCWD Parliamentary Debate is one of the activities of the BCWD's Water and Environment Advocacy Program.